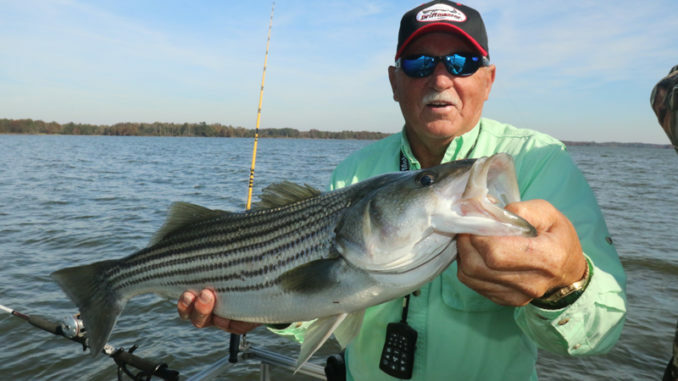 A no-possession limit on stripers is being proposed for some N.C. waterways. Anglers may soon face a temporary restriction on keeping striped bass from certain waters of North Carolina. The restriction would apply for the Tar, Pamlico, Pungo, Bay, and Neuse rivers. It would also apply to the joint and coastal waters of the Central Southern Management Area. 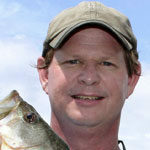 The N.C. Division of Marine Fisheries has not passed the restriction. They are seeking your thoughts on the proposal. 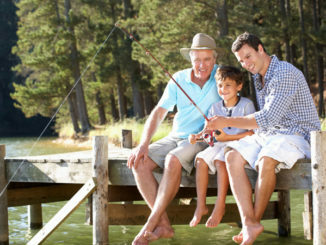 The measure would impact both recreational anglers and commercial fishing operations. 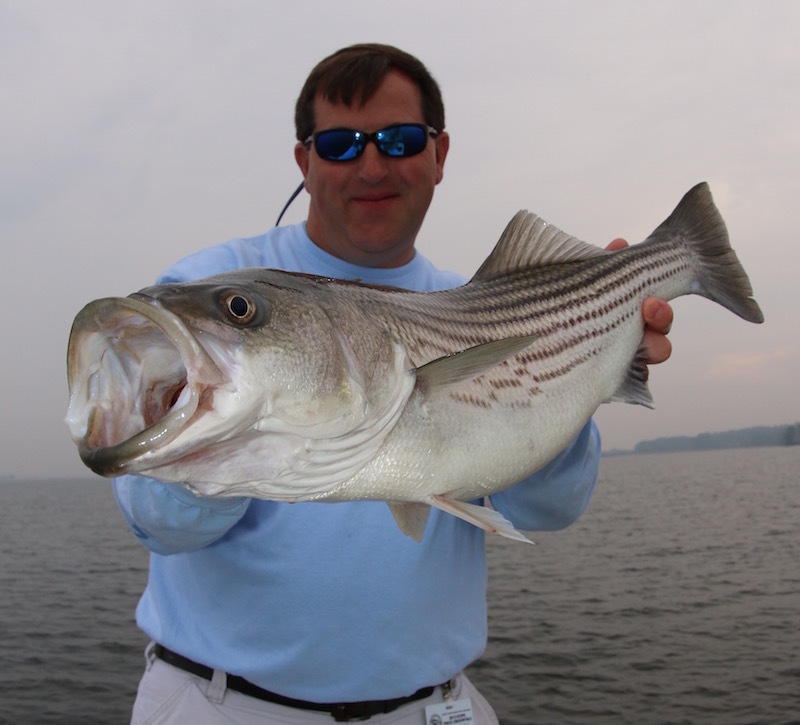 This proposal would not impact striper fishing in the inland fishing waters that are managed by the NCWRC. It would also not affect striper fishing in the Atlantic Ocean, Albemarle Sound Management Area, or the Roanoke River Management Area. The temporary restriction would presumably help naturally-occurring stripers. 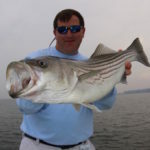 NCDMF is proposing this measure in an effort to protect non-hatchery stripers in these areas. 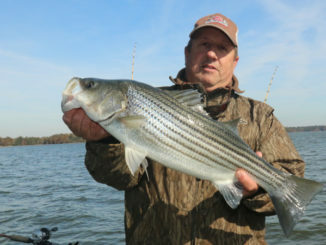 Most of the stripers caught in these locales are stocked But hatchery-raised stripers have been spawned naturally for the past two years in these waterways. 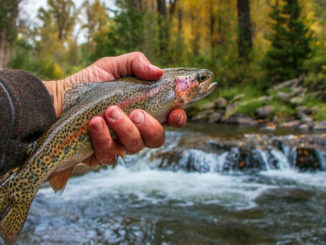 The Marine Fisheries Commission believes the naturally-occurring population would get a chance to become established if this new proposal passes. The Marine Fisheries Commission will hear and debate this proposal at its Feb. 20 – 22 business meeting. If approved, the proposal will become law by March 1, 2019. Concerned citizens can voice their opinions at a meeting that will be held on Jan. 16 at 6 p.m. at the N.C. Dept. of Environmental Quality’s Washington Regional Office on 943 Washington Square Mall. This meeting will deal exclusively with this proposal. Each speaker will have at least three minutes to share their thoughts on the matter. They may possibly speak longer, depending on how many folks sign up to talk. Citizens can use the online and mail options until Jan. 23 at 5 p.m. This proposal is officially known as Draft Supplement A to Amendment 1 to the N.C. Estuarine Striped Bass Fishery Management Plan. You can access the full document by clicking here.